The 189,489-square-foot shopping center is 100 percent occupied by tenants that include Pathmark Super Center, Big Lots and Retro Fitness. BUCKS COUNTY, PA. -- CBRE has arranged the sale of the 189,489-square-foot Fairless Hills Shopping Center, located at 500 Lincoln Highway in Fairless Hills, Pa., which is located in Bucks County. 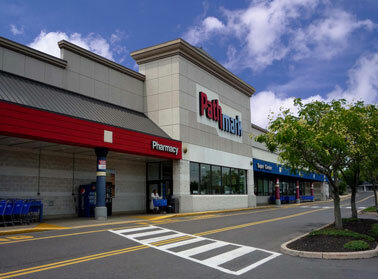 The property, which was constructed in 1971, is anchored by Pathmark Super Center and Big Lots. It was 100 percent leased at the time of sale. Other tenants include Retro Fitness, Tuesday Morning and Family Dollar. 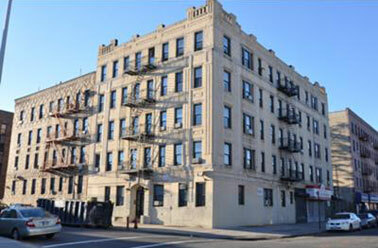 CBRE represented the seller, Earle W. Kazis Associates, a real estate holding company based in New York City. Brad Nathanson of CBRE led the transaction. The Klein Group of Florham Park, N.J., acquired the property for $9.5 million, or $50.13 per square foot. 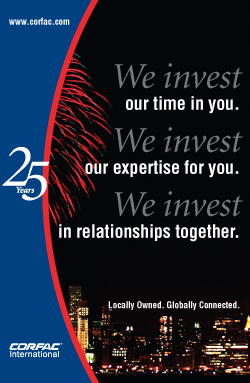 ROCHESTER, N.Y. -- Rochester-based Broadstone Net Lease (BNL), a private REIT managed by Broadstone Real Estate LLC, has acquired 19 properties for more than $52.6 million thus far in 2014, and now has a total market capitalization of more than $800 million. The acquisitions included a portfolio of 16 Wendy's restaurants in four states; a Golden Corral restaurant in Lexington, Ky.; a Shemin Landscape Supply location in Greenwich, Conn.; and an industrial facility of the Port City Group located in Norton Shores, Mich. The REIT has also selectively sold properties this year, totaling more than $13.5 million. In total, Broadstone Net Lease has increased its holdings to 211 properties in 31 states. White & Case LLP will move into the 2.5 million-square-foot 1221 Avenue of the Americas building in 2017. NEW YORK CITY -- White & Case LLP, a global law firm with operations in 26 countries, plans to relocate but will remain on Sixth Avenue. 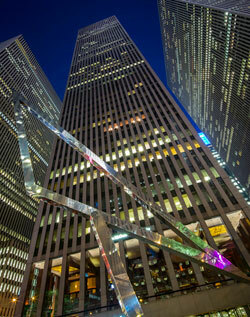 The firm has signed a 440,000-square-foot long-term lease at 1221 Avenue of the Americas, which is owned by The Rockefeller Group. The leased space includes the top floors in the building, as well as below-grade space. The firm will move to the 2.5 million-square-foot property in 2017. Ken Siegel, Tom Doughty and Lisa Kiell of Jones Lang LaSalle represented the tenant. The Rockefeller Group was represented by an in-house team led by Ed Guiltinan along with a Cushman & Wakefield brokerage team led by John Cefaly. The lease brings total new leasing activity at 1221 Avenue of the Americas to more than 700,000 square feet over the past 18 months. NEW YORK CITY -- Stephen Palmese of Massey Knakal has arranged the sale of the Brooklyn Law School Portfolio, which consists of six multifamily properties located in the historic Brooklyn Heights neighborhood of New York City. The all-cash transaction was valued at $36.46 million. The six properties -- located at 89 Hicks Street, 18 Sidney Place, 144 Willow Street, 100 Pierrepont Street, 27 Monroe Place, and 38 Monroe Place -- feature a combined 110 residential apartments and approximately 56,342 gross square feet. The sale price equates to approximately $647 per square foot. The properties have been owner/occupied by Brooklyn Law School, and they were 90 percent vacant at the time of sale. by Westchester Bus Company in Rye, N.Y. The 12,000-square-foot warehouse and office facility sold for $1.6 million. RYE, N.Y. -- NAI Friedland has arranged the sale of a 12,000-square-foot warehouse at 30 Nursery Lane in Rye for $1.6 million. David Kucera of County Coach Corp., a Westchester County bus company, purchased the facility to accommodate the company's expansion. 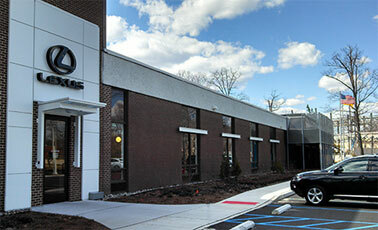 The warehouse and partial office space offers 12- to 14.5-foot ceilings and is accessible from I-95 and I-287. The building offers multiple offices, a conference room, large sales meeting room, and two lunchrooms. FAIRFIELD, CT. -- Save the Children will lease 59,100 square feet of office space at 501 Kings Highway in Fairfield for its new headquarters. Eric West of West, Lane & Schlager Realty Advisors and Mindy Saffer of Cresa represented Save the Children in the headquarters relocation negotiations that resulted in a 15-year lease. Save the Children is an independent organization that works in the United States and around the world to create lasting change for children in need. The property attracted the tenant due to location and cost; it allows the organization to maintain its long-term presence in Fairfield County. The five-story walk-up building has 27 apartment units and four stores. NEW YORK CITY -- Jim Coleman of Houlihan-Parnes Realtors LLC recently arranged $1.5 million of acquisition financing for the purchase of 2075 Haviland Avenue in the Tremont section of the Bronx. 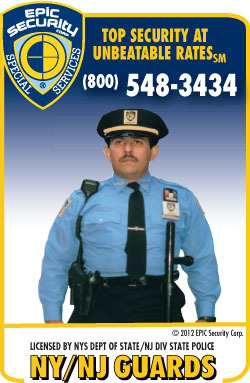 The property is a five-story walk-up apartment building containing 27 apartments and four stores. The property was purchased to reposition the asset based on existing vacancy. The loan has a flexible nine-year term. 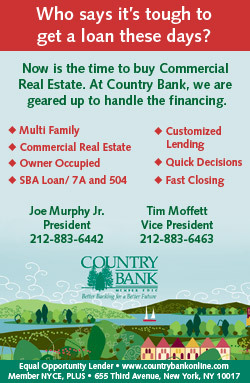 A local New York commercial bank provided the loan. Anthony Simari of Smith, Buss & Jacobs represented the borrower. 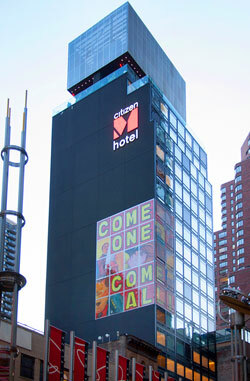 The 21-story citizenM New York, located in Times Square, offers 230 rooms. NEW YORK CITY -- Amsterdam-based citizenM has partnered with Brack Capital Real Estate to open citizenM New York, the first citizenM hotel in the United States. Located off the corner of Broadway and 50th Street near Times Square, the 80,000-square-foot, 21-story hotel offers 230 rooms. Amsterdam-based Concrete and New York-based Montroy Andersen DeMarco designed the hotel, which offers a 2,300-square-foot first floor, public outdoor spaces, and a 1,500-square-foot mezzanine that includes a lounge and work area. Construction began on the hotel in summer 2012 and the structure topped out in 2013. In addition to the design team, the project team included Flintlock Construction Services, DeSimone Consulting Engineers and Gilsanz Murray Steficek. Lexus Facility in Parsippany, N.J. The 32,0000-square-foot facility will be occupied by Toyota Motor Sales U.S.A. Inc.
PARSIPPANY, N.J. -- JLL has recently completed managing the construction of the Lexus Eastern Area Office and Training Facility at 300 Webro Road in Parsippany for Toyota Motor Sales U.S.A. Inc. The team obtained LEED for Commercial Interiors Platinum certification for the 32,000-square-foot office and warehouse facility, which will serve as a training center for Lexus dealerships throughout the Northeast and Mid-Atlantic regions. This is the first LEED Platinum project for the Lexus area training center program. JLL was retained by Toyota Motor Sales U.S.A. Inc. in September 2012 to provide project management services for the construction of the facility. The company broke ground on the facility in early April 2013. The JLL team overseeing the project management assignment was led by Jerry Sullivan and Eric Brown. LEED certification coordination was led by Dana Schneider and Jasmine Davis. Overview: BOMA's 2014 Medical Office Buildings & Healthcare Facilities Conference with the country's top experts in healthcare real estate and healthcare administration. Copyright � 2014 France Publications, Inc., d/b/a France Media, Inc. All rights reserved. 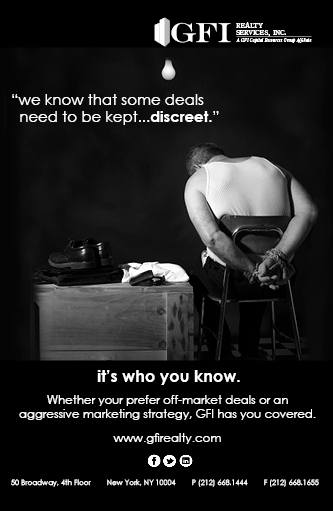 The opinions and statements made by authors, contributors and advertisers to Northeast Real Estate Business are not necessarily those of the editors and publishers. To unsubscribe, please click on the links at the bottom of this email.